Fuelled by a flourishing tourist trade, Thailand’s bar sector is booming. From cocktail bars in Bangkok to more bohemian establishments on the country’s islands, there’s a wide spectrum of choice if you want to buy a bar in Thailand. But be warned, language barriers, restrictions on foreign ownership and an alien legal system are among the hurdles to surmount. This article features advice and stories from a number of people who have bought bars or other businesses in the ‘Land of Smiles’. Driven by a thriving tourist trade and plenty of beer and whiskey-drinking Thais, Thailand has a flourishing bar trade. From high-class cocktail bars in Bangkok and Chang Mai to more bohemian, inclusive establishments on the country’s famous islands, there’s a wide range of choices for anyone who wants to buy a bar in Thailand. But first, a warning: don’t let your happy holiday memories of the ‘Land of Smiles’ blind you to the challenges of running a bar in this country – or any country. If it’s a great place to visit – and it is – then it doesn’t diminish the hurdles for overseas entrepreneurs: language barriers, restrictions on foreign ownership and an alien legal system with no little corruption. And involving a higher than average failure rate plus long hours and weekend work, running a bar is tricky in any country. Do it with neither hospitality experience nor knowledge of Thai law and culture and you’re taking an enormous gamble. American Brian McCarthy, who spoke to Alex in Wanderland about his island bar, had 2.5 years experience as a bartender/manager in the country first – albeit it was his first ever bartender job. He, like many people, do buy a bar in Thailand without later regretting it. The laidback nature of Thailand allied to the holiday atmosphere of many locations can be intoxicating. 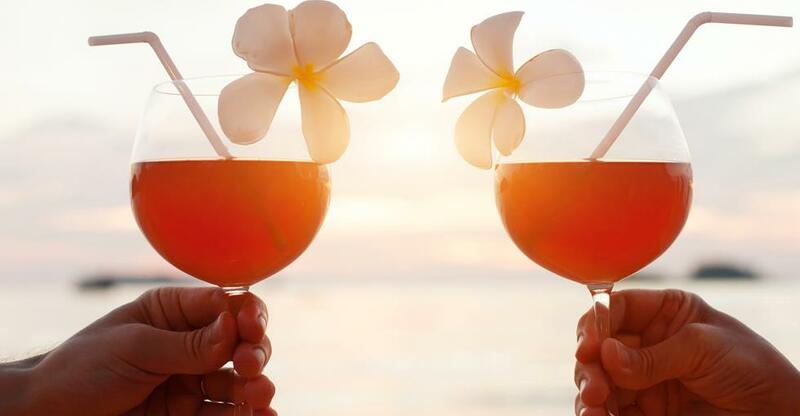 Nevertheless, if you’ve hatched a plan to buy a bar while on holiday, put as much research – and probably even more – into its viability as any hard-headed businessperson would once you return home. Once you’ve made the decision to buy a bar in Thailand, you need to be just as thorough in your due diligence of any properties that seem – on the face of it – to fit the bill. “Most bars that do work are owned by ex-pats who have lived in Thailand for years,” he wrote. Unlike in Europe where contactless payments are taking over, this is still a heavily cash-based business and bookkeeping can be negligible. With gauging true profitability difficult or even impossible, it’s worth visiting the bar regularly – in both high season and low season – to ascertain the volume of trade to get a picture of how successful the bar really is. Rents can top 50,000 baht (£1,100 or $1,500) a month in prime areas. In addition to the lease you are likely to have to pay 'key money' for keys to the premises. Describing it as a “minefield” Barclay says that key money is sometimes due again when the lease is renewed and isn’t always in proportion with the business’s valuation. He suggests you clearly understand the terms of the key money and to get a signed receipt. Whether leases are month-by-month or annual – increasingly common – they can rise when they expire, so obviously annual leases are preferable. Cigarette, liquor and food licences must be held in the name of the majority owner – who must be Thai. QVC Barclay says it is “essential” that you protect yourself with a contract written up by a lawyer. You can either run the business as a partnership with a Thai partner or as a company. “Remember having a company you must pay tax, accounting fees and other expenses and more, but you are far safer than with a partnership,” advises QVC Barclay. Choose a partner who you trust – better still, one with good English as expats are likely to be your main customers. If like most people you’ve only visited Thailand in the high season, then be aware that the bars aren’t that busy all year round. Calculate your cash flow needs bearing in mind that from April to November your takings will be considerably lower. Buying a bar is rarely a path to great wealth – but get it right in Thailand (a big but) and you can live comfortably on fairly modest takings. “I’m not doing this for the money,” said McCarthy, adding that he probably takes home “under $25,000 a year” – but that gets him “a big, three-bedroom house with a couple friends” and he drinks and eats for free at the bar. Major tourist hubs like Pattaya and Chiang Mai have hundreds of bars so you need a clear selling point and ways of attracting people. Check out the competition – what the successful ones get right, what the unsuccessful ones do badly – and apply those lessons to your own business. Brian McCarthy, who co-owns his bar with two of his best friends, also counts many of his customers – mostly expats – as friends.